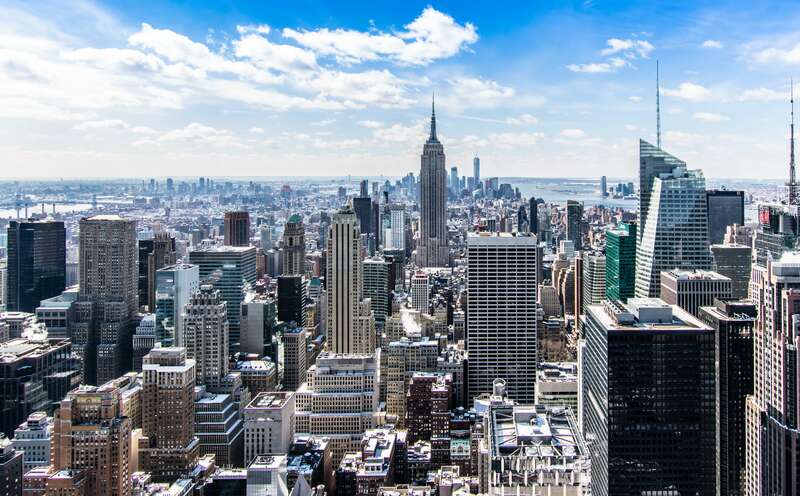 Unsurprisingly, and for a second year in a row, the ‘Big Apple’ remains at number one for the top cities for business travel in 2019. As one of the most famous locations in the world for the performing arts, Broadway has over 40 theatres displaying a wide variety of shows. A staple on many a ‘bucket list’, Broadway is the crème de the crème of the theatre world with many famous actors and actresses performing in its shows. Top shows include the long-running Wicked and The Lion King as well as the highly successful The Book of Mormon. New shows billed for 2019 include Beetlejuice and Moulin Rouge! The Musical. As one of the most famous statues in the world (and a symbol of New York), this is a must-see for many tourists to the city. Catching a boat ride out to Ellis Island will give you beautiful views of the iconic statue and of the New York City skyline. If you have extra time, exploring Ellis Island might also be an option, where you can learn more about the history of immigration to the city. Another historic landmark in New York, the Empire State Building has been a feature in many films over the years as well as a key feature of New York’s famous skyline. Climbing to its observatory floor will allow you to see a 360-degree view of the city including famous sights such as Brooklyn Bridge, the Statue of Liberty, Central Park, Times Square, and much more. Again another must on many ‘to do’ lists. As one of the most visited tourist attractions in the world, Times Square is bustling with people everywhere. If overcrowded spaces are not your thing, then it might be best to avoid this area. However, if you are wanting to brave the crowds and venture into Times Square, there is plenty to do and see. From the famous flashing billboards and red steps, to the abundance of shops and restaurants, Times Square is another New York attraction not to be missed. Another major tourist attraction, Central Park is the most visited urban park in the United States and one of the most filmed locations in the world. With a perimeter of just over 6 miles, there is plenty to do and see in this park. Visitors can take in the beautiful sights and sounds of nature by walking, running or cycling through the park, or even relaxing with a picnic. Attractions include a zoo enclosed within the park, sculptures, statues, memorials, bridges, fountains and the famous carousel ride. Now one of the top visitor attractions in New York, the 9/11 Memorial & Museum is located at the World Trade Centre site and includes many of the real relics and artifacts left behind from the catastrophic event. The memorial is free to visit and depicts the names of the 2,983 victims on 2 memorial pools that stand where the two towers once stood. New York has an abundance of other museums that attract many tourists. The majority of these are located in and around Central Park. Top museums include the Metropolitan Museum of Art, the Museum of Modern Art, the American Museum of Natural History and the Guggenheim. New York is famed as one of the world’s greatest shopping destinations…from its department stores to boutique shops, high-fashion stores and outlet centres, New York has shopping opportunities that suit all needs and budgets. Top stores to check out include Macy’s (Herald Square), Saks Fifth Avenue, Bergdorf Goodman, Bloomingdales, Tiffany and co., Century 21, M&MS World (Times Square) and the Disney Store (Times Square). Famed by TV and the movies, New York’s iconic yellow taxis are in high supply all over the city. Getting a ride in one might just be on your to-do list if you want a true experience of New York. It might also be on your to-do list, if you need to get from A to B to meet clients. To catch one, simply grab the driver’s attention by waving at the side of the street, and remember only those with a yellow light on are available. Another thing New York is famous for… its food. With such an array of ethnicities living in New York, you can be sure to find something that tantilises your taste buds. It might be worthwhile checking out the ethnic neighbourhoods to get a true taste experience, such as Chinatown or Little Italy. If you’d rather stay in and around Midtown Manhattan, there is plenty of street food on offer as well as a vast number of restaurants to choose from. One recommendation: make sure to grab a slice of that famous New York pizza. So whether you’re busy meeting clients or have a lot of leisure time on your hands, there is plenty to see and do in New York. If you would like more information, then visit Time Out for a more comprehensive guide.